The N.W.T. 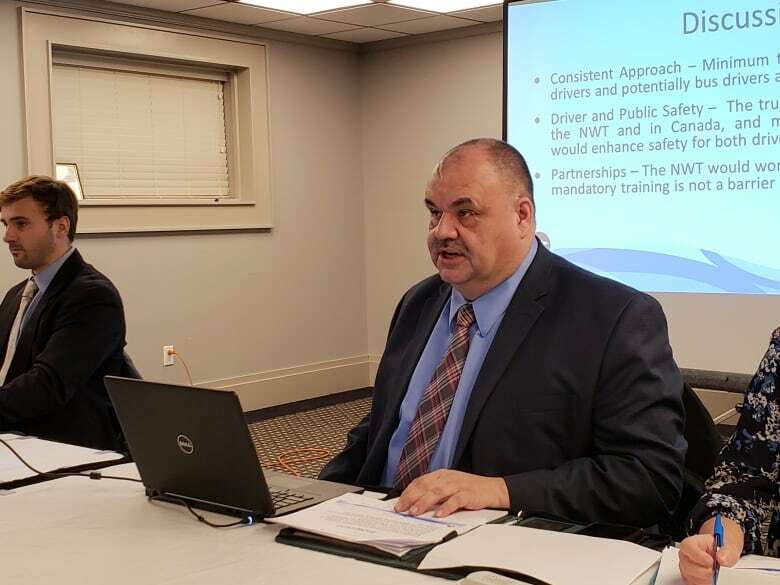 government has proposed new mandatory training for some Northwest Territories truck drivers, something that could increase fees for customers, according to a local business owner. 'If we have to pay more for this, then the consumer must pay more,' says business owner. The department of infrastructure held a public consultation Monday night at the Chateau Nova hotel in Yellowknife. Representatives from local trucking companies were on hand, giving input on the smoothest transition into this new policy. The territorial government is proposing mandatory entry-level training for new Class 1 and Class 2 commercial truck drivers. 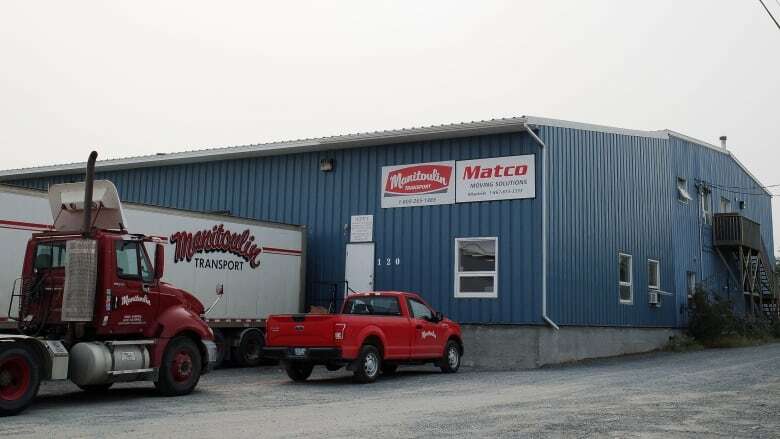 At the moment, the territory does not have any regulated requirements, and private companies like Weatherby Trucking and Manatoulin Transport are responsible for training new drivers. The push to create new legislation for mandatory truck training comes in wake of the 2018 Humboldt Broncos bus crash in Saskatchewan, which killed 15 people. So far, Alberta and Saskatchewan have begun to adopt new legislation. Ontario is currently the only province or territory which provides mandatory training for Class 1 and 2 commercial truck drivers. Drivers who take the training in Ontario must complete over 100 hours of road training and complete a written exam. A potential driver pays $7,000 to take the course. Blair Weatherby, the owner of Weatherby Trucking, said that the change to legislation could leave N.W.T. residents footing the bill. "If we have to pay more for this, then the consumer must pay more. Or else we don't exist," said Weatherby. "It's going to cost you. Everything comes [to Yellowknife] on a truck." However, Steve Loutitt, the director of compliance and licensing for the department of Infrastructure, said that the changes will make the roads safer for everyone. "We're cognizant of what occurred [in Saskatchewan] and we want to make our roads safer for all road users," he said. "Jurisdictions are currently doing their homework and looking at either having a mandatory program or have committed to a mandatory program." The department is getting input from two other communities before drafting legislation, said Loutitt. So far, there have been meetings in Inuvik and Yellowknife. The department will next head to Fort Simpson for meetings on Jan. 17, before wrapping up their engagement sessions in Hay River on Jan. 23.